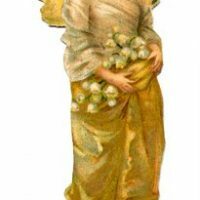 This is a darling Champagne Cherub Image! Or at least that’s what I’m calling him! 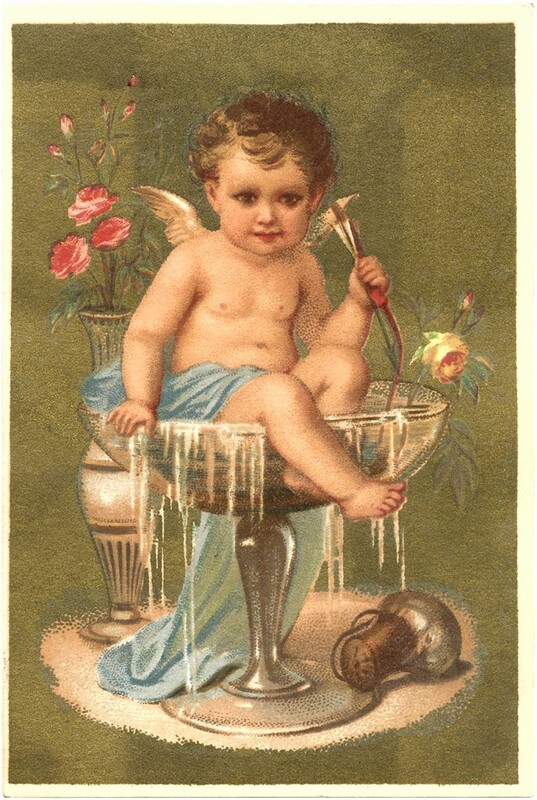 Shown on this fun Antique Card is a funny little Cherub Boy sitting in a glass of Champagne. 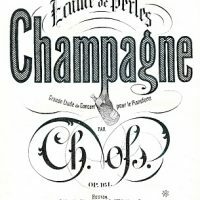 The Champagne is flowing out of the glass like a fountain and you can see the cork near by. Cute, quirky and fun for New Years Eve! You might also like an old Postcard showing a Lady on a Moon, drinking Champagne, you can find her HERE. Free Antique Clip Art – Sheet Music Cover – Champagne Vintage Image – Golden Fairy Girl & Lucketts Spring Market Vintage Cherub with Roses Image! So cute! Thank you for another year of beautiful images, and Happy New Year, Karen! So very cute and cheerful! Thank you! Lovely image and, with the bow and arrow, he’d be nice for valentines, weddings and anniversaries. I think this little Cherub is the perfect way to welcome in 2014. A bit of bubbly and love! So cute. Thank u 4 all you gave in 2013 and look forward to what u find in 2014 to share with us.